24" x 24" x 30", 2007. 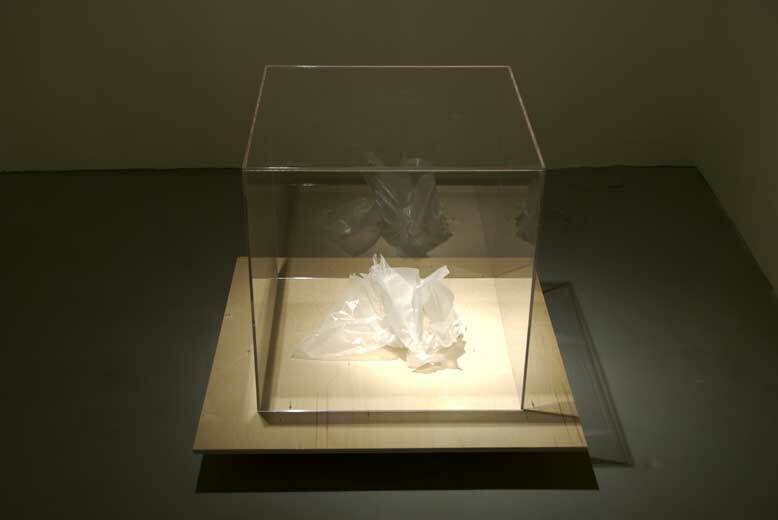 A plexiglass box holds several sheets of rumpled wax paper — wax paper is often used by foley artists to simulate the sound of fire. Exhibited in "Non-Cochlear Sound" at Diapason Gallery in New York.